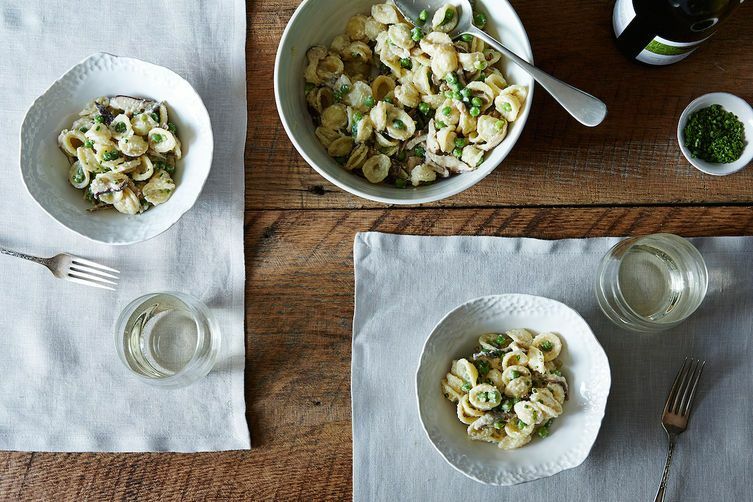 Today: Make your Parmesan jealous. 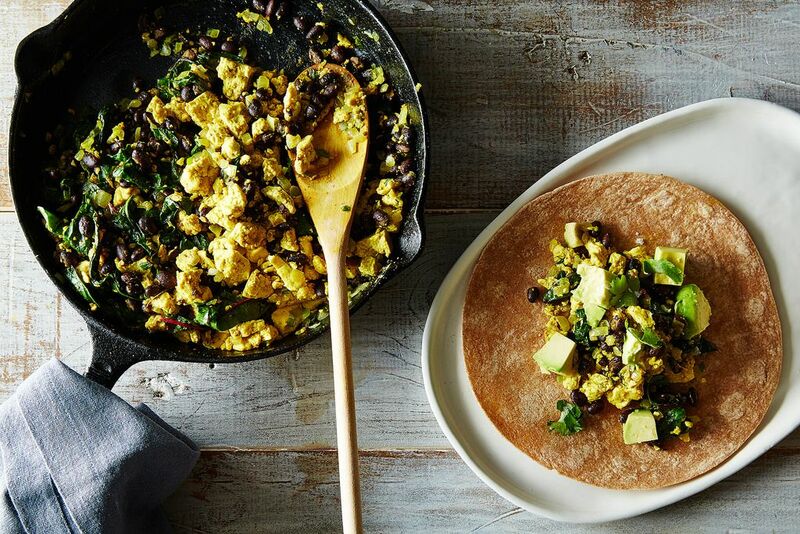 Nutritional yeast is pure magic -- vegan, cheesy, and utterly habit-forming. 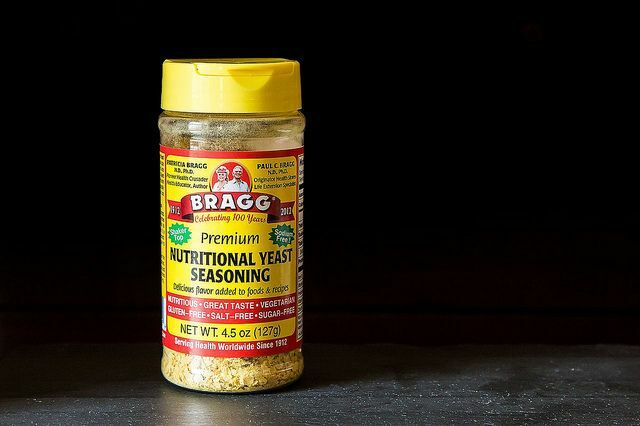 Nutritional yeast: The name sounds healthy and vaguely scientific and prior to becoming a convert myself, I chalked it up to being an obscure, health food store staple. Vegan friends would gush over its cheese-like taste, which I always suspected was like promising someone that carob brownies will taste deeply of fudge (carob may be a lot of things, but chocolate it is not). But then -- purely by accident -- I tried it. Hangry one afternoon, I ducked into a cramped natural foods store in Greenwich Village and snatched the first snack I saw that looked familiar: popcorn. Their homemade version was popped in coconut oil and showered in a blend of nutritional yeast, paprika, turmeric, and tamari. The first bite tasted bizarrely similar to Spicy Nacho Doritos (I do mean that as a compliment), and after downing the entire bag, I vowed to recreate it. Since then, I’ve not only mastered the perfect "cheese" popcorn, but I've tried nutritional yeast in creamy pasta sauces, on kale chips, on real chips, in soups, and even in biscuits. Nutritional yeast (often called "nooch") is an inactive yeast grown on sugar cane and beet molasses, then dried and sold in flake or powder form. It's gluten-free, and unlike regular yeast, it won’t bubble or grow or help leaven breads. An excellent source of vitamin B12, it has a savory, nutty, cheesy flavor. Use it in recipes calling for cheese -- it tastes similar to Parmesan and melts beautifully into sauces. You can find it in most health food stores in the bulk section, and increasingly in regular grocery stores in the natural foods section in jars. Be sure not to confuse it with brewer's yeast, which is an entirely different ingredient. 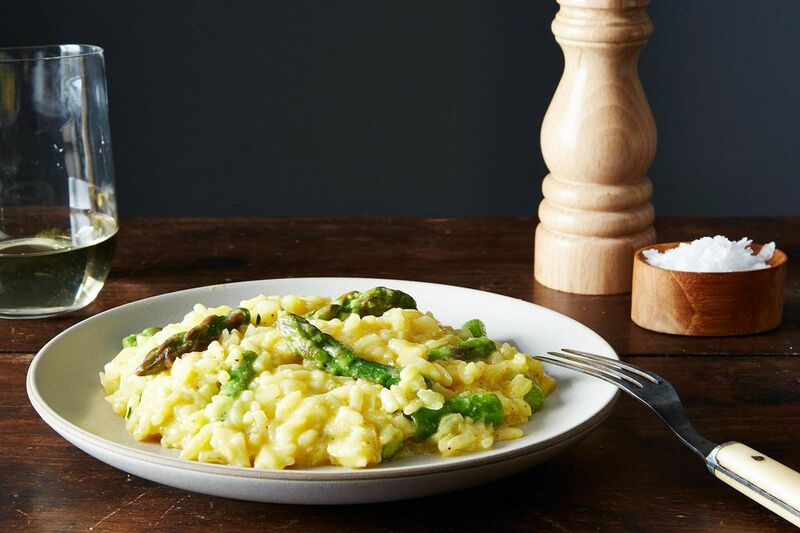 Nutritional yeast is beloved by vegans as a cheese substitute, but you don’t need to be avoiding dairy to fall in love with it. I eat cheese with reckless abandon (I am an equal opportunity romancer of everything from cheddar to Camembert), and I have welcomed nutritional yeast into my pantry with open arms. 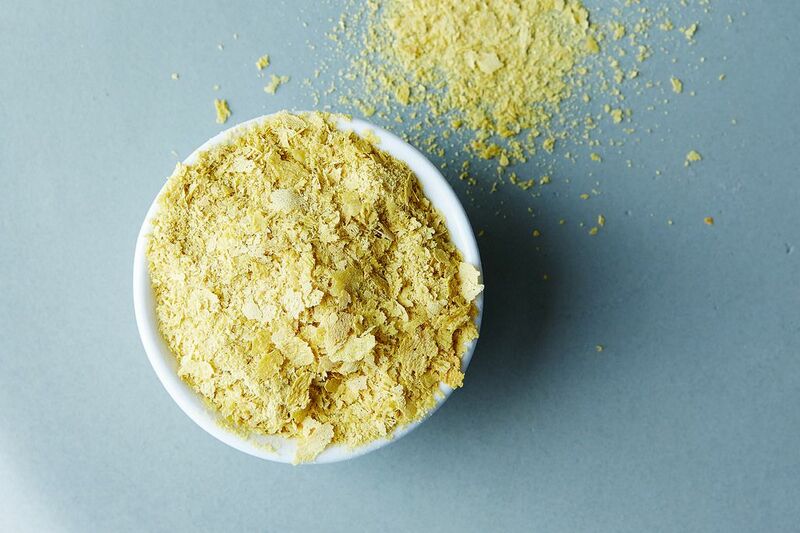 Have you tried nutritional yeast? Tell us your favorite way to use it! First and third photos by Mark Weinberg; all others by James Ransom. I just wanted to mention that nutritional yeast only has Vitamin B12 if it's fortified with it. If it doesn't say B12 on the label, it won't have B12, but if it's fortified, it's a great source of B12 for vegans/vegetarians, or anyone who might not eat a lot of animal products. Not that I am vegan, but in the sake of accuracy, I thought I should mention it! If it's grown on "beet molasses" it's virtually guaranteed to be GMO (the molasses). Is it possible to find organic/non-GMO nutritional yeast? My version of popcorn is to first drizzle with olive oil, then sprinkle on the nutritional yeast and lots of freshly ground black pepper and toss in the bowl and repeat to get the other side. Oh so addicting! posie, NO WAY am i putting butter on popcorn. But imo, the whole point is getting the butter out of the equation.If the popcorn is liberally sprinkled with tamari, the finely ground nutritnl yeast should readily stick to the tamari. Did you recently read DrBabs' brilliant solution to getting spices to stick to her nuts, w/out oil?) She wets her hands and runs them through the almonds and then tosses them w/ spices before roasting them. Mine is the same idea w/ the tamari and nutritnl yeast sticking on the popcorn. Oh I love that trick of the wet hands-- going to try it! I've had success actually with just tossing the nutritional yeast on right away while the popcorn is still very hot, putting a top on, and shaking. Perhaps the steam helps it adhere. Also -- to your comment below, no idea about where "nooch" came from and it makes me think of hooch too! posie, you are FUNNY! You had me hooked with your carob comment. 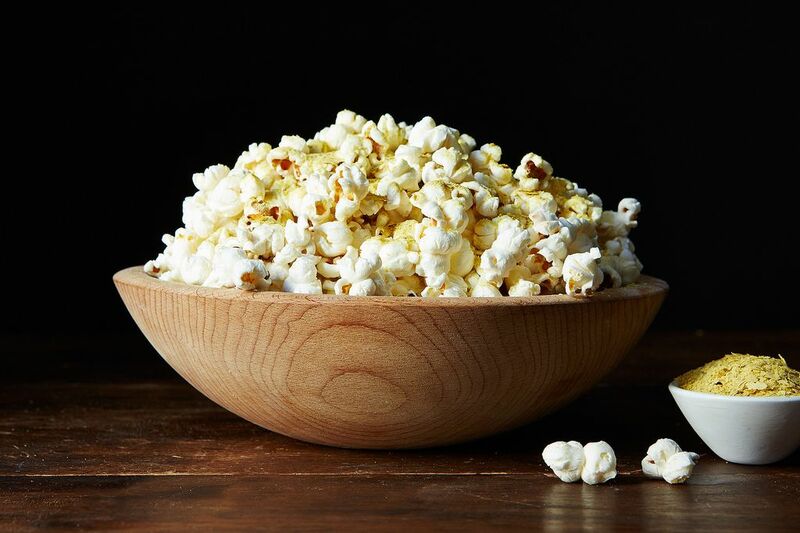 Long ago and far away, a hippie friend taught me about Tamari (and brewer's yeast) on popcorn; I loved the former, and have used it alone on any popcorn i eat. I shall now proceed w/ the Bragg's which has been unopened on my shelf for months. Look forward to reading your other suggestions as well. Congrats on this super piece! The F52 marketing team recently had a popcorn-a-thon and will agree the nutritional yeast is the key to the best homemade "cheesy" popcorn! I love nutritional yeast. It's a great base for a vegetarian broth. You just cook it with onions and garlic for a few minutes and then add some water. I also make a sprinkle for veg by grinding raw cashews in a blender, dry toasting them for a few minutes, then adding olive oil, paprika, chopped garlic, and nutritional yeast. My secret to getting it to stick to the popcorn is butter... lots of butter. I also make my own popcorn seasoning using nutritional yeast, a pinch of cayenne and a pinch of garlic powder. I also make a tofu seasoning mix that is largely nutritional yeast, but I bet it would be good on popcorn, too! Hey Hillpagan! This is Martha Rose Schulman's recipe! Been mKing it since 1979! Um..glad you're catching up. BB Boomers have been using this on popcorn etc for decades! Makes the best gravy and sauces! 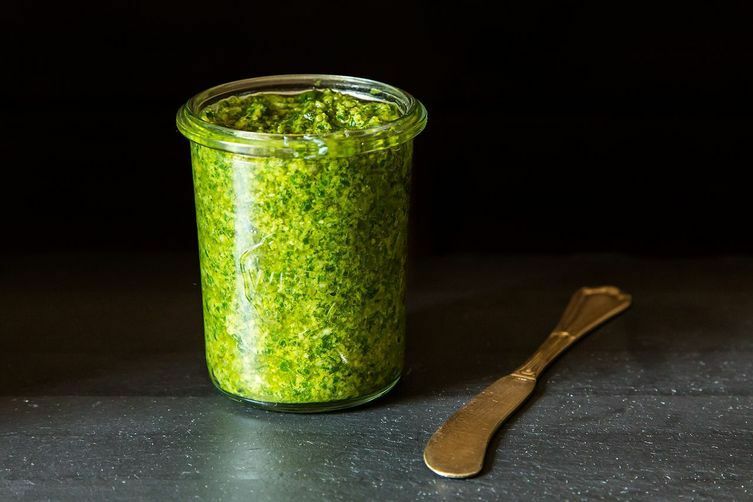 Martha Rose Schulman introduced me in the late 70's and it's been a kitchen staple. I hazard to say that maybe you grew up eating this great food without knowing. Oddly enough, my mother (who is a farmer and a devotee of foods like wheat germ!) never cooked with it -- but I'm happy to have finally gotten into it. Love the idea of adding it to a gravy, I am going to try that recipe immediately! I know many who love this, so that's it! I'm sold on it! Going to try this very soon. In a whiskable pot, toast the flour over med-high until you can smell it. If you burn it, throw it out and try again. add & stir in the yeast. whisk while it cooks and thickens. add soy sauce, salt & pepper to taste, serve. Does anyone know if there's a downside to eating too much nutritional yeast? Could using a lot of this yeast cause gastric problems? I just bought some nutritional yeast and can't wait to try this out! What is the secret to getting it to actually stick to the popcorn as opposed to having a mound of It at the bottom of the bowl? I make sure to first toss and coat the popcorn evenly with butter (or coconut oil) before sprinkling on the nutritional yeast and tossing it again. I usually end up with a bit at the bottom, but not very much. Also make sure to add your toppings while the butter or oil is still a bit warm. I like to pulverize it with a little salt in a mortar and pestle before sprinkling on. Sticks much better and coats more evenly.